Chaga mushrooms have been used in traditional Chinese herbal medicine for over 2,000 years. Chaga mushrooms grow in the cold forests of Siberia, Canada, Japan, China, and United States; however, they are very rare and difficult to find. Chaga has grown in popularity in alternative medicine for its wide range of medicinal properties. In Siberia it was found that regular consumption of chaga prevented degenerative disease, boosted stamina and longevity. Studies showed areas of Russia where chaga was consumed regularly had a very limited amount of cancer related deaths and illnesses. When chaga was compared to reishi mushroom, studies found that chaga had more longevity boosting properties. 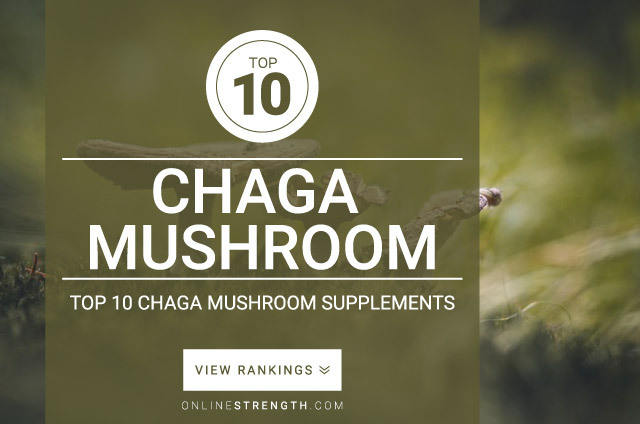 Chaga contains a very high content of superoxide dismutase (SOD) almost 50x more than reishi. Chaga found in the wild was shown to contain greater amounts of SOD, sterols, enzymes, B vitamins, germanium, and other important nutrients. Recommended Chaga Dosage: 450 mg – 1350mg , standardized to contain 15% – 32% Chaga Polysaccharides taken daily, in divided doses.